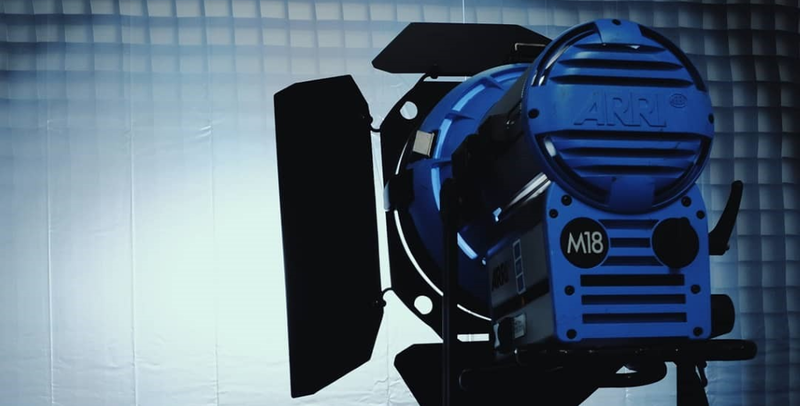 Shoot Blue continues to invest in the latest film and television lighting equipment. 2018 has been quite a momentous year for Shoot Blue. First, we became bigger, doubling our floorspace with the addition of a 3000 square foot warehouse next door to our existing facility in South Acton, London. This recent expansion has enabled us to significantly increase the range of film lighting equipment that we offer in our hire inventory. Much of our investment has been in LED lighting technology, and we now offer the entire range of ARRI SkyPanel fixtures, including the super-powerful S360 which is very much the flagship of the SkyPanel range. Kino Flo fluorescent lighting has long been one of the most popular and trusted lighting products for film and television production. With the advent of more advanced LED technology, the fluorescent Kino Flos are slowly being superseded and we have taken the decision to start supplementing our conventional Kino fleet with newer LED models. This includes the latest Kino Flo Freestyle 21 and 31 series, both of which are feature-laden RGBW LED fixtures and are equivalent in size to the well-established Kino 4×4 and 2×4 fluorescent lights. The Hudson Spider Redback is an LED light which packs plenty of ‘wow’ factor both in the quality of light it produces and it’s unique parabolic design. We’ve added the Redback Deluxe to our rental stock, which includes a set of diffusion fabrics and a Snapgrid. We were one of the first UK rental facilities to carry the K5600 Joker Bug range and have always remained a fan of these punchy, highly versatile and compact daylight fixtures. When the updated Joker Bug series 2 was announced late in 2017, we jumped and both the Joker 2 800w and 400w lights are now available to hire. Because of their flexible design, low weight and high quality bi-colour output, Aladdin Lights have grown in popularity over the last few years. We now stock the full range, including and all new BI-FLEX M7 1×1, BI-FLEX 2 and BI-FLEX 4 panels. And to further increase the flexibility of our Aladdin lights, we have added the DoPchoice Flyball 2 which turns the FLEX M7 into a portable, overhead soft source, perfect for use on a boom arm. As well as a big increase in new lighting fixtures, we’ve also enhanced our range of lighting grip, light shaping tools and accessories. This includes DoPchoice SNAPGRID 4×4 and 8×8 egg crates, stacks of new stands, clamps and frames in all shapes and sizes, a complete range of 20×20 textiles as well as even more 8×8 and 12×12 textiles. Lastly, location power is another area in which we have increased our range of products and we now stock the amazing Bebob Cube 1200 block battery (which can comfortably handle powering most LED lights, including the SkyPanel S60) and the Honda EU70is portable genny. We could also mention that we’ve wired up about a bazillion metres of 13A, 16A, 32A cable and connectors, bought a boat load of sandbags and spent the past month soldering 12v and 24v DC cables pretty much non-stop. But that might be just a little bit too boring to talk about, maybe. If you would like any more information about the range of lighting equipment we stock, have a hire enquiry, or would like to come in and try out some of our new fixtures, please give the team a call on 0208 343 1260.